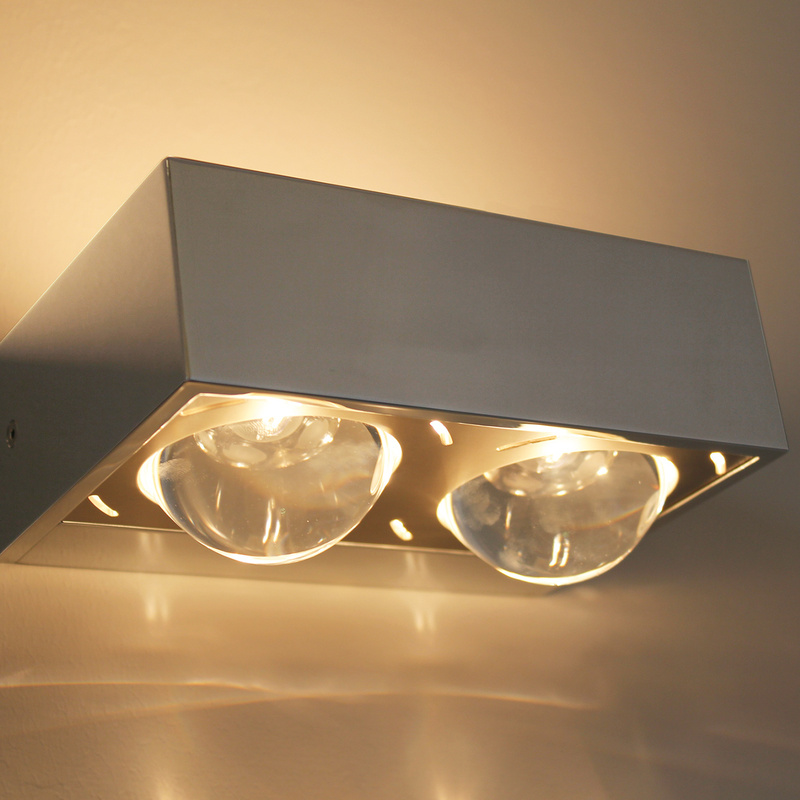 The Focus 150 wall sconce is an extremely variable design wall lamp of the German luminaire manufacturer Top Light. While the color selection of light satin nickel from the possibilities, chrome, black or white offers four different versions, you have to design the light exits the light not less than nine choices that are shown in the drop-down box, "done." Each of the first mention refers to the upper light output of the lamp, the second to the bottom. So does the version "1 x lens / 2 x lens" that the light on the upper side of a central lens has, on the lower side, however, two lenses. Optionally, you can add to order a mirror holder for clamping assembly of the light on the mirror. Please note that the possibility exists that Focus equip 150 wall light with color filters that give the light of the particular lenses a wonderful touch. Because of greater simplicity, we ask you the color filters in the linked extra product "color filter for Focus and Focus 150 wall lights" to order. Please note that a color filter is designed for only one lens, so you also need two color filters for two lenses.